SSD recoveries require special knowledge to avoid further damage and data loss. 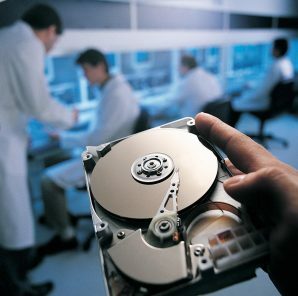 Our team is experienced in full data recovery from SSDs. Denver Data Recovery is able to recover data from most SSD (Solid State Drive) hard drive failures where the drive is no longer recognized or operational. In 2010 Eboxlab Data Recovery technicians researched a 50% increase in data recovery client requests for flash media and solid-state drives (SSD). Denver Data Recovery implemented new techniques and procedures to include the recovery of lost data from flash media and solid-state hard drives. A solid-state drive (SSD) is a data storage device that uses solid-state memory to store persistent data. SSDs are distinguished from traditional hard disk drives (HDDs), which are electromechanical devices containing spinning disks and movable read/write heads. SSDs, in contrast, use microchips and data is retained in non-volatile memory chipsand contain no moving parts. Compared to traditional HDDs, SSDs are typically less susceptible to physical shock, quieter, and have lower access time and latency. SSDs use the same interface as hard disk drives, thus easily replacing them in most applications. We have developed our own software and hardware solutions specifically for SSD hard drives to read your data directly off the NAND memory chips and reassemble the data. As of 2010, most SSDs use NAND-based flash memory, which retains memory even without power. SSDs using volatile random-access memory (RAM) also exist for situations which require even faster access, but do not necessarily need data persistence after power loss, or use batteries to back up the data after power is removed. This is a very common fact that each coin has its counterpart. So in spite of having no mechanical parts in SSD, these drives are also not 100% secure from failure. The fact is that these hard drives are more susceptible to certain other effects like abrupt power loss, magnetic fields and electric/static charges compared to normal Hard Disk Drives. Apart from this certain other causes like human error like accidental deletion of files or deletion of file after formatting can be other some minor factors too of data loss from solid state drive. There is nothing to be worry about as data can be recovered from these devices too. There are two type of failures considered for a hard drive: physical and logical. Physical failure in SSD occurs due to power loss and magnetic fields and logical failure occur mainly due to human error and formatting of hard drive.